The resort was divided into two areas: The normal/main area, and the "Club Hacienda" area. We stayed in the normaal area where we had access to four restaurants including an american res. (fast food), italian res., mexican res., and a main buffet. The American restaurant served Fried Chicken, Burgers, Fries, Pizza, Hotdogs, and even with a lineup of 10-15 people we always got our food very quickly. The Italian reastaurant had a breakfast and lunch buffet. You could order ala cart for dinner. The Mexican Restaurant was my personal favorite, it had a lunch buffet with nachos, tacos, enchiladas, etc. You could also order dinner ala cart. The main buffet served what you would cook back at home, the food was fresh and delicious, but was usually prepared different and may look the same but have a slightly different taste. Club hacienda had access to one more restaurant and one more pool. From what i heard the restaurant was generic, but in the normal area you were aloud one ala cart per week, and Hacienda was aloud more. 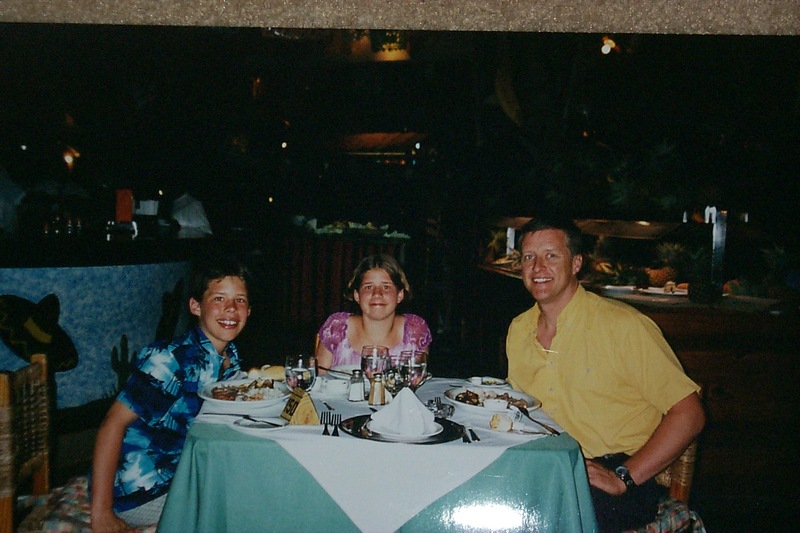 This is a picture of my dad, my sister, and I at the mexican restaurant. Right a review of the food at your resort in the guestbook.